Operation Restore Legacy was timely as it placated potential anarchy in Zimbabwe and no human rights violations were reported, a Zimbabwe Human Rights Commission official has said. In an interview with The Sunday Mail, the Commission’s Chairperson Mr Elasto Mugwadi said Zanu-PF intra-fighting, which spewed results in expulsions from the ruling party and Government, had pushed the citizenry to the brink of despondency. Mr Mugwadi said the military’s popular political and socio-economic intervention tamed the fast-spiralling situation and set the country on a new trajectory. 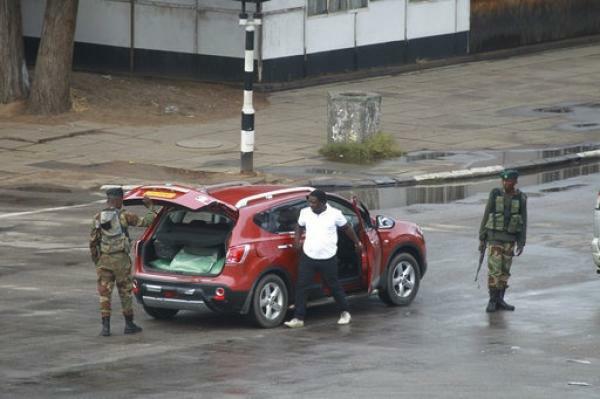 The Zimbabwe Defence Forces rolled out the operation from November 13 to December 18, 2017 to weed out a clique around former President Robert Mugabe which fomented instability and fuelled widespread angst. The intervention saw Cde Mugabe step down on November 21 and President Emmerson Mnangagwa ascend to the top job. Mr Mugwadi said: “We haven’t received any complaints, but from a human rights point of view, our own observation is that this intervention was timely. There was a lot of alarm and despondency on the part of the people in terms of not knowing where they were going. “People could be fired from Government and political positions willy-nilly. So, that aura of uncertainty was removed by this intervention. But, of course, you would expect that normalcy be maintained by ensuring that everything goes back to civilian control of Government institutions. “We are happy with the handing over of patrol duties back to the police, which is one issue we had recommended to authorities. Mr Mugwadi warned police against violating human rights by over-extending their mandate, and encouraged Government to continue guaranteeing constitutional rights. “To the police, we urge them to heed recommendations of the generality of the public. The people they are meant to protect are complaining that there has been heavy-handedness by the police in dealing with situations and issues. “We are saying the police should be the people’s police force and that is expected of the police anyway in terms of their mandate. ‘‘Anything extraneous to their mandate is unacceptable and it will be violating the people’s rights.